Upon payment receipt, Your order will be shipped within 1-4 days. Estimated delivery time is 7-20 business days for USA and it is shorter to U.K. and all European countries. Estimated delivery time for EMS shipping 5-15 days. We guarantee reship for Registered Mail Service and EMS shipping service. If you want to use Express Shipping service,delivery time will be 1-5 business days. No guarantee reship for Express shipping services. Steroidforyou sales Atlas Labs products with in USA. Est delivery time 3-5 days. 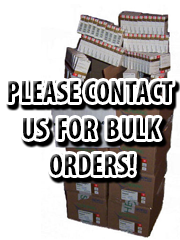 If you dont receive your order in 45 days, we reship full of your order. BTW : IF YOUR ORDER STATUS IS SHOWING '' origin post shipment '' Please do not take care of it because Usps never updates Status by order inbounds into custom . That can take 7-10 days..
2- IF YOU DO NOT PROVIDE US RIGHT ADDRESS OR RIGHT NAME FOR SHIPPING AND IF POSTMAN CAN NOT DELIEVER IT TO YOU . THAT' S NOT OUR MISTAKE. PACKET NEVER RETURNS BACK TO US CAUSE WE DO NOT SHIP ORDERS FROM REAL ADDRESSES CAUSE OF SECURITY. We guarantee reship to USA and UK. We do not guarantee reship for Germany, Austuria, Australia, New Zeland, Norway, Sweden, Canada, Finland and some of others. If you are in another country please contact with us before ordering.. USA , UK %100 reshipping GUARANTEE!